Chartered in 1960, the Home Builders Association of Western Kentucky Incorporated is a professional non profit trade organization comprised of not only builders, but also savings and loan institutions, subcontractors, material suppliers, manufacturers, developers, real estate agents, utility companies and other companies and individuals with industry related businesses who are involved in the home building, home remodeling, home improvement and commercial construction in Western Kentucky. The HBAWK is affiliated with the HOME BUILDERS ASSOCIATION OF KENTUCKY, an association with 22 local associations and nearly 6,500 members, and the NATIONAL ASSOCIATION OF HOME BUILDERS and its 800 state and local associations with over 200,000 members. The HBAWK and our 200 plus members are active year round with a variety of professional, social and community service programs, and we serve as the voice of the local housing industry. We serve the industry and the public by working to head off unreasonable legislation which would adversely affect the cost of providing quality housing and it’s affordability. We provide our builders with information and developments in materials, construction methods, business management, and sales and marketing technology so they can be better builders and businessmen, and provide area home buyers with the best homes available. 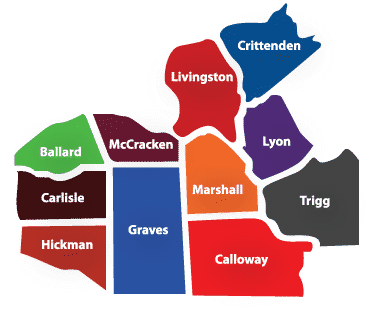 The Home Builders Association of Western Kentucky exists to represent and promote the Home Building Industry through services to its members and community. We strive to provide services so that members of the residential construction industry and related businesses can conduct their business efficiently and ethically. Our members can then provide the community with reliable, safe, affordable, residential construction accomplished by competent professionals. If you are involved in the home building industry, it is a sound business decision to join and be an active part of this professional organization. Contact the HBAWK office or ask a member about becoming a member of this professional organization.